Kent Hotel’s Ideal for Golden Flashes Fans. Whether you’re here on a business trip or vacation, you’ll be warmly welcomed. The hotel’s convenient location off I-76 is sure to meet your needs. Stay at Hampton Inn Kent/Akron Area located off Interstate 76 in Kent, Ohio, and only 3 miles from KSU. Our hotel is 12 miles from Akron, 25 miles from the Pro Football Hall of Fame and 40 miles from the Rock and Roll Hall of Fame and Museum. Take advantage of the city’s parks, hiking trails and antique malls. The Comfort Inn & Suites® hotel in Kent will get you rested and ready for anything. We’re merely minutes away from Kent State University. Located off I-76 at Exit 33, our hotel is just minutes from downtown Akron and three miles from downtown Kent and Kent State University. University of Akron is also nearby. With a stay at Days Inn Kent – Akron in Kent, you’ll be close to Dix Stadium and Kent State University. Within close proximity of May 4th Visitor Center and Viking Vineyard and Winery. 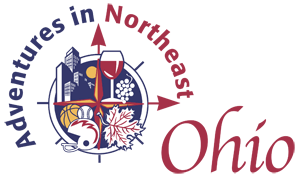 A stay at Econo Lodge Kent places you in the heart of Kent, convenient to Viking Vineyard and Winery and Kent State University. This hotel is within close proximity of Dix Stadium and May 4th Visitor Center. Rely on our Super 8 Kent/Akron Area hotel. Located off I-76 at Exit 33, our hotel is just minutes from downtown Akron and three miles from downtown Kent and Kent State University. University of Akron is also nearby.